Meet Francisco José do Prado Pizarro Jr. Here is his '79 "Fusca". My name is Francisco José do Prado Pizzaro Jr. 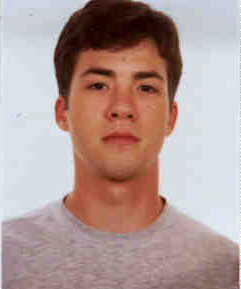 I'm 20 years old and I live in Belo Horizonte, which is the Capital City of the State of Minas Gerais, Brazil. Since my childhood I'm an enthusiast of the Air Cooled VW's. I'm the admirer No. 1 of magazines, films and publications related to the Air Cooled VW's. As soon as I completed my 18 years of age I had the opportunity to get my drivers license and finally to buy my first car. Of course it only could be an Air Cooled VW. I have a VW 1979 Sedan 1300L. The car is in good shape and has all the original details. As soon as I bought this car I had the opportunity to know the Fusca Clube do Brazil in its chapter of Belo Horizonte . I inscribed myself and became one diligent member, and today I already am part of the Club's Technical Committee. As a "Fuscamaníaco" (Beetlemaniac) I'm ready to collaborate with any one who is passionate for the VW Bug. This is Francisco's Site banner. 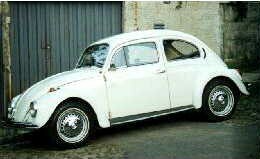 Francisco José do Prado Pizarro Jr included a Link to the "Arte & Fusca - The VW Beetle and the Pop Art" Site in his Site, thus allowing the divulgation of the QUEST to more people around the world, helping a lot to proceed with the work!